The process for ordering honey bees from us is as follows. Please read this entire section before placing an order. By placing an order for bees, you are acknowledging and agreeing to this process. 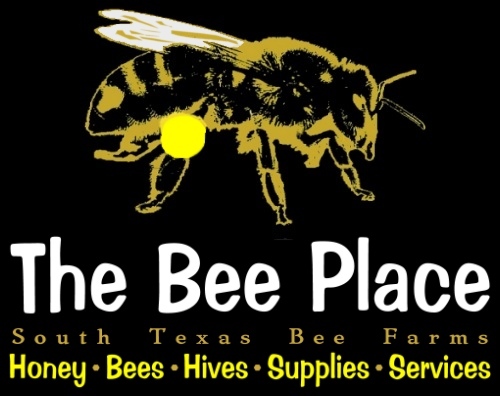 First off, PLEASE add beekeeper@thebeeplace.com to your email contacts. Otherwise you may not notice a message from us for scheduling your pickup appointment, as some service providers filter bulk email automatically. Always check your spam/junk mail folder for missing notices. The Summer Bees page also contains important information and is good to review and understand prior to transporting bees in the heat. This is an evolving process that we have found works best for everyone - mainly the bees. 1. Select the item format, the genetics and pickup date / location that will best suit your needs and schedule. 2. Once decided on an item, please include the email address you wish for us to use to contact you to schedule your appointment for pickup. Then use the item's "Add to Cart" button to place an item of your choice into the virtual shopping cart. You will have the option to increase the number of each item on the shopping cart page. You will also have the option to "continue shopping" after adding an item to your cart. 3. Pay for your order using your choice of either a.) PayPal account balance, or b.) any major credit card (if you do not have or do not wish to use a PayPal balance). Since all of our website payments go through the highly secure PayPal system, you will receive an email receipt for your order with the details of your order. Please check your receipt for accuracy and to make sure your payment covered everything you intend to purchase. For security reasons, we never see your personal information or card number. We will contact you using the email address you provide if we have any questions. 4. The Monday before your pickup date we get the current local weather forecast for the weekend ahead and determine the best of our locations to use for pickup. We will then send an email to schedule an appointment time. Responding to this email request within 48 hours will allow us ample time to complete appointments and prepare orders so everything is ready when you arrive. If we do not get a reply within 48 hours, we may need to reschedule your order pickup for a later date. If you do not receive your appointment email by the Monday prior to your pickup date, please check your spam or junk mail folder. If you still do not have a message from us, please email us on Tuesday to schedule your appointment time. Since we have multiple locations and we do not want you to end up at the wrong address, we DO NOT provide the address until you confirm your appointment via email. 5. After we receive your reply, we will provide the address and basic pickup information. Please wait for us to respond with the address and additional information needed. The address is not on our website and a google search may take you to the wrong location - please be patient and follow the above steps to avoid complications. Please note: If you are not a seasoned beekeeper and have multiple questions about taking care of your bees, please order and plan to attend the Beekeeping Class the morning of your scheduled pickup date. While we love to talk about bees and we realize new beekeepers have a lot of questions, we also realize the question and answer sessions can get lengthy and cause delays in loading orders for other customers. Therefore, we offer a discount to our already low priced Beekeeping Basics group class where all of your questions can be answered as well as getting some hands on experience over an active hive. We also invite you to visit the Honey Bee Educational Information & Resources page for basic information and links to videos and downloads you will find helpful when starting down the path of keeping bees. Also note: We also offer Beekeeping Supplies, that we can have ready when you pick up your bees - as long as you order the supplies when you order your bees. Keep in mind that in the spring, the beekeeping suppliers are like stores at the mall during Christmas shopping season. Ordering several months in advance is advisable. Many items are sold out and/or backordered during peak seasons. Waiting to place an order will result in waiting to pickup an order.